Electric cars are already cheaper to own and run than petrol or diesel cars in the UK, US and Japan, new research shows. The lower cost is a key factor driving the rapid rise in electric car sales now underway, say the researchers. At the moment the cost is partly because of government support, but electric cars are expected to become the cheapest option without subsidies in a few years. The researchers analysed the total cost of ownership of cars over four years, including the purchase price and depreciation, fuel, insurance, taxation and maintenance. They were surprised to find that pure electric cars came out cheapest in all the markets they examined: UK, Japan, Texas and California. 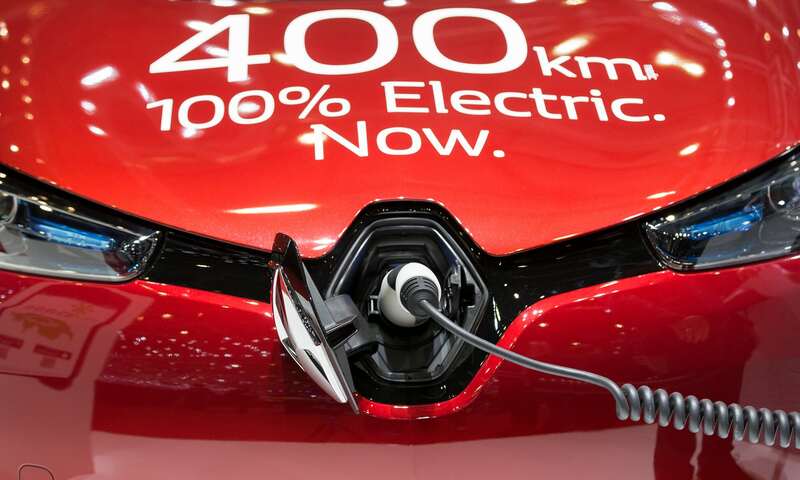 Pure electric cars have much lower fuel costs – electricity is cheaper than petrol or diesel – and maintenance costs, as the engines are simpler and help brake the car, saving on brake pads. In the UK, the annual cost was about 10% lower than for petrol or diesel cars in 2015, the latest year analysed. Hybrid cars which cannot be plugged in and attract lower subsidies, were usually a little more expensive than petrol or diesel cars. Plug-in hybrids were found to be significantly more expensive – buyers are effectively paying for two engines in one car, the researchers said. The exception in this case was Japan, where plug-in hybrids receive higher subsidies. Pure electric cars receive a sales subsidy of about £5,000 in the UK and Japan and £6,500 in the US. “The subsidies are reasonably expensive at the moment but they are expected to tail off,” said Tate. He estimates that an electric car such as the Nissan Leaf will become as cheap to own and run as a petrol car without subsidy by 2025. Renault expects this to happen in the early 2020s. The push to roll out electric cars, which produce less climate-warming carbon emissions, has been supercharged by concerns over air pollution, particularly from diesel cars. In the UK, where toxic air is at illegal levels in most urban areas, sales of diesel vehicles have plummeted by 30% in the last year while sales of electric cars have soared by 37%. Tate said one aspect which also needs addressing is social equity, as wealthier people who can afford the upfront cost of an electric vehicle and who have off-road parking for home charging have easier access to cheaper motoring.